September | 2013 | DEBtastic Reads! Welcome to the Spotlight: Kathryn Erskine and Seeing Red! Happy book birthday to Kathryn Erskine! I am absolutely thrilled to shine the spotlight on this National Book Award winning author and her newest release, Seeing Red! Stayed tuned (below) for a chance to win a signed copy of this incredible novel! After 12-year-old Red Porter’s father dies suddenly, he’s left with an aching hole in his heart. He spends his time in the auto shop in Stony Gap, Virginia where he used to hang out with his dad, learning about cars and fixing things right. 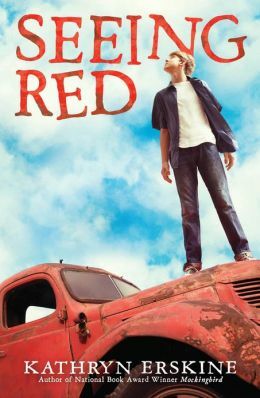 When Red’s mother wants to move to Ohio, he is determined to find a way to stay put, even going as far as to risk asking for help from his trouble-maker neighbor. This effectively ends his friendship with his best friend and starts Red on a path to solve a mystery, one that may not have the answers he’s hoping for. Set in 1972 amid a backdrop of racial tension, this story proves that no matter how old you are, you can change things you think are wrong. A powerful story about making a difference. What a truly gripping and powerful story! Can you please share with us the journey of this story? What was the initial spark? I grew up in the 1960’s and 1970’s in the U.S. and other countries, including South Africa under apartheid. I was always shaken to the core witnessing racism of any kind. I wanted to write about the shock to a kid of systemic racism, of learning what your community has done and the role it has played and, by extension, the role you have unwittingly played. And what you can do about it, how you can expose the truth and insist that something can be done. For a more detail about Kathryn’s amazing journey with this book, click here. You talk about your childhood observations of racial injustice and how clearly you felt it was wrong. Red has a clear sense of right and wrong, but also struggles with speaking up. He feels so very real to me. What were some of the challenges and joys you experienced in developing Red and his story? I did identify with Red a lot and so it was difficult to let him act the way he did sometimes — not very supportive to his mom, less than enthused about his teacher, and behaving in a horrible way towards Thomas. But he has a good moral compass inside that eventually rights his ways, even though he’s not perfect. In the end it’s his complete and flawed character that I really love. Which character in SEEING RED do you feel the most affinity for (outside of Red) and why? For me, it’s a toss up between Miss Georgia and Beau. Love the heart in both of them. I love Miss Georgia and Beau, too. Like you say, it’s their heart. I could sit down and talk with them all day, or just spend time with them. I also love Thomas, who is earnest and conflicted. He has a tough role to play in the early 1970’s which is made even harder because he has an innate sense of fairness and justice. It’s challenging to live in this world, especially his world, when you have that quality. Finally (and I know you said “one” character–sorry! ), here’s a character I really warmed to over the course of the book: Sheriff Scott. At first, I honestly didn’t like him. Then I softened him some and I softened toward him. Like Thomas, he has an innate sense of what’s right but he has ignored that voice for a long time, at least when it comes to race relations, and it’s gratifying to see his gradual development over the course of the novel. Red’s favorite ice cream flavor is mint chocolate chip. What’s your favorite ice cream flavor? What is your dessert weakness? As a kid, mint chocolate chip was my hands down favorite. Also, Reese’s peanut butter cups, which I managed to mention in the book. :o) Now I stay away from ice cream but I still love peanut butter and chocolate, or any kind of chocolate. That’s my dessert — and my daily — weakness! Kathryn Erskine, a lawyer-turned-author, grew up in six countries, an experience that helps her view life, and her writing, from different perspectives. 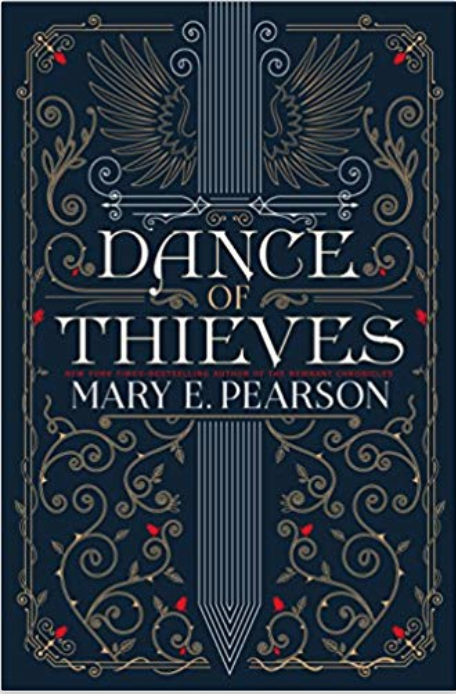 Her novels include Mockingbird, a 2010 National Book Award Winner, The Absolute Value of Mike, Quaking, and her latest novel, set in Virginia, Seeing Red. While covering weighty topics, her books have warmth and humor, making difficult issues approachable. She is a writing instructor and frequent workshop presenter. For more about Kathryn and her books, check out her web site and read her blog! 1. Comment on this post, and for fun, tell me your dessert weakness! Currently, mine is the chocolate bread pudding at a local restaurant called Bravo, Bravo. It’s amazing and chocolatey and moist, and just the right portion – no sharing! Mmmmm! 2. Leave your comment and email address by midnight EST Friday, September 27th. The lucky winner will be drawn at random and announced here on Tuesday, October 1st.